Continuing on with reading in 1 Samuel, we have finally come to David, the man I intended to begin this blog with. But the Lord clearly had other plans since I began with Saul. Up to this point we have seen Israel gain a king, and we’ve seen that king rise and fall. God then decided to make a new king, “a man after [God’s] own heart” (1 Samuel 13:14 NLT). But we have yet to see who this new king is. It wasn’t until after Saul disobeyed God over the Amalekites that Samuel was sent to anoint a new king. Samuel is sent (by God) to the town of Bethlehem to meet with a man named Jesse and his sons, in order to anoint one as king. (Now Jesse is the grandson of Boaz and Ruth. This isn’t important to the story, but I like to see how biblical characters are related!) Jesse brings along 7 of his sons. Yet God tells Samuel “People judge by outward appearance, but the Lord look at the heart.” (16:7b NLT) Upon seeing these 7 sons, God does not chose any other them. Which leads Samuel to ask if there are more sons, to which Jesse replies that there is one more. Upon meeting David, God tells Samuel to anoint him. This decision of God’s is based solely on David’s character, not his outward appearance. So what does that mean to us? As the Psalmist writes “O Lord, You have searched me and known me.” “You scrutinize my path and my lying down, And are intimately acquainted with all my ways.” (Psalm 139:1,3 NASB) This says to me that God knows us better than we may even know ourselves (definitely more than another person can). This means we cannot hide things from God. Just because we maybe alone does not give us permission to act in an un-Christian way. 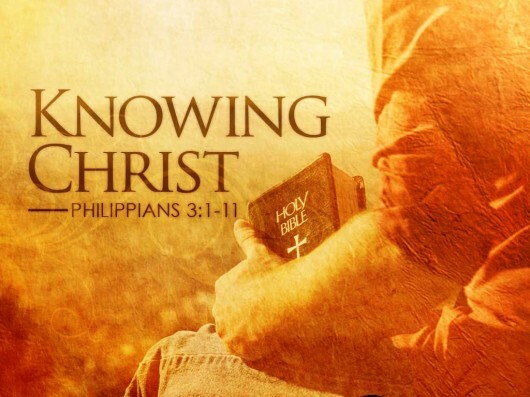 We must be Christian all the time, otherwise our hearts do not truly belong to God, and He knows it. I am reminded of a scene from the movie Left Behind. After the Rapture happens, an associate pastor is left behind. The scene shows him praying to God, lamenting that he knows what has happened but God’s gaze pierced into his heart to know the truth. From that point on wards the pastor is a changed man. God wants us to be that changed man. Not because something terrible has happened, but because we chose to be. God wants us men to be searching for His will for our lives, so we can lead our families and the Church according to Him. This change, this task, is most certainly the first step in becoming a man after God’s own heart. So I encourage you today to think about your own life and walk with the Lord. If you have to make changes, than do it today! God desires to be close to you, and our souls are searching to be close to Him. So look for that time, and just have a conversation with God today.